Omega in your card data environment. Omega is fast becoming the Managed Security Services Provider (MSSP) choice for growing Level 2 retail chains. With over 25 years’ experience, we draw on a history of technical leadership to deliver the future of retail data security. 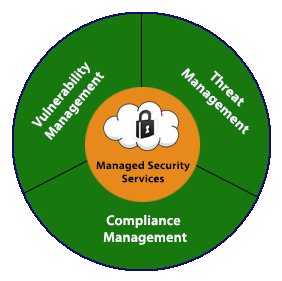 Omega is a PCI 3.2 certified Managed Security Services Provider. Our solutions are compatible with VSAT, 4G, 3G and Broadband communication systems. With our PCI certified data center, we offer the unique option to move your headquarters out-of-scope for PCI compliance reviews. OmegaSecure gives you secure access to your stores without each store needing to be be on a unique domain. Local policies can be managed centrally and applied to all machines. Omega has extensive experience with retailers using the leading POS systems, including Micros, Verifone, Pinnacle, Gilbarco, Radiant, Retalix, and NCR. As a PCI DSS Certified Managed Security Services Provider, Omega has undergone an extensive auditing process that makes us qualified to guide you through the PCI compliance process. By working with Omega, your data security is strengthened and simplified in your Cardholder Data Environment (CDE). Your stores and your customers benefit from the enhanced security and cost savings our range of services provide. By streamlining your data security and retail management systems, Omega improves the efficiency of your day-to-day operations and simplifies the ongoing validation and maintenance that keep your stores continuously compliant. Demand PCI compliance certification from your Service Provider as mandated by PCI DSS. When it comes to data security for retailers, one weak link in the data chain can have dire consequences for all parties involved. But it is you—the merchant—who is ultimately responsible for all costs associated with a data breach. In the face of increasing cyber crimes against American retailers, the new Payment Card Industry Data Security Standards require any third-party Service Provider that you use are PCI 3.2 certified. The service provider must provide Attestation of Compliance (AOC). In addition, you are required to monitor the compliance of all third-party vendors with access to your cardholder data environment. Omega has earned the PCI DSS 3.2 compliance status. Omega Data Center. Your security starts here. Security starts—at the state-of-the-art Omega enterprise-class Security Operations Center (SOC). Located in a world-class facility in one of North America’s premier “Carrier Hotels”, the Omega data center offers continuous security and reliability with N+1 redundancy in electrical and environmental systems and an on-site Network Operations Center monitored 24/7 by trained engineers. The Omega Security Operations Center is PCI certified and SSAE 16 Type II certified. The Omega data center has earned two certifications. The Statement on Auditing Standards (SAS) 70 certification is an internationally recognized standard developed by the American Institute of Certified Public Accountants. And the Type II SSAE 16 report provides independent third party verification that our policies and procedures were correctly designed and operating effectively to meet the desired control objectives. All facilities at Omega’s security operations center are protected by multiple layers of security including magnetic locks, biometric scanners, 24/7 onsite personnel, monitored and recorded closed-circuit television, person-traps, and identity logging of all visitors. The Omega data center is designed to operated 24/7 throughout the year. Protected by redundant UPS power systems, the center maintains three separate electrical feeds with multiple power distribution units for a continuous supply of reliable power. In case of the loss of commercial power, our data center facilities have diesel generator backups. The data center climate is maintained at 72 degrees F (± 5 degrees) and 30-60% humidity (± 5%) by redundant industrial conditioning units to provide the optimal conditions for continuous, reliable performance. With concrete floors, steel ceilings, and steel framed racks, the OmegaSecure data center is built to resist fire and withstand damage. And the combination of FM200 fire suppression with a multi-zoned, pre-action, dry-pipe system is designed to ensure that fires are identified and extinguished immediately, before significant damage can occur. For additional protection, all data entering Omega’s servers are stored in a mirrored drive for immediate access. And we use a Commvault Galaxy enterprise tape system to backup and restore your hosted environments.